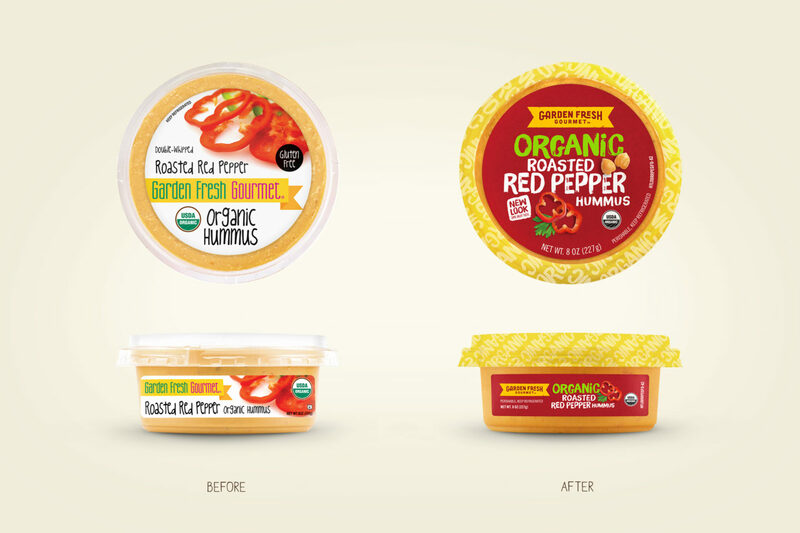 Chase was asked to create a new visual identity and comprehensive packaging redesign for Campbell’s C-Fresh brand, Garden Fresh Gourmet. 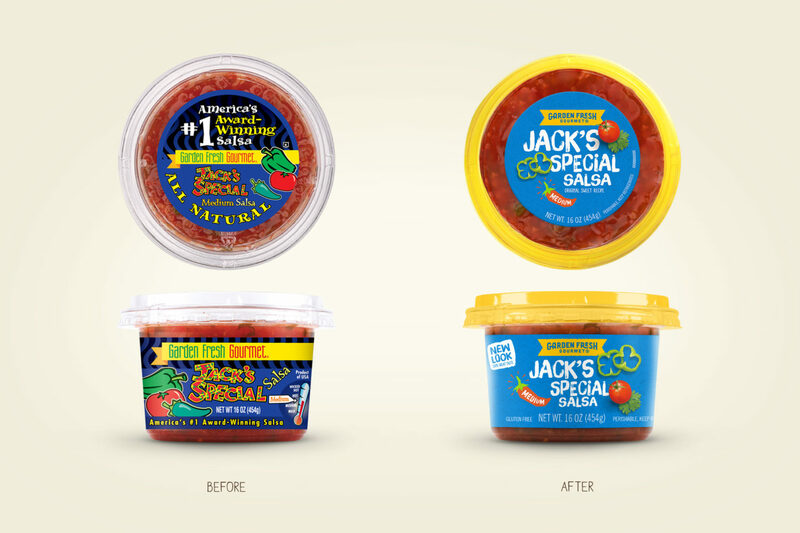 Our ultimate goal was to convey the fresh, high-quality ingredients of their products and to improve shoppability. 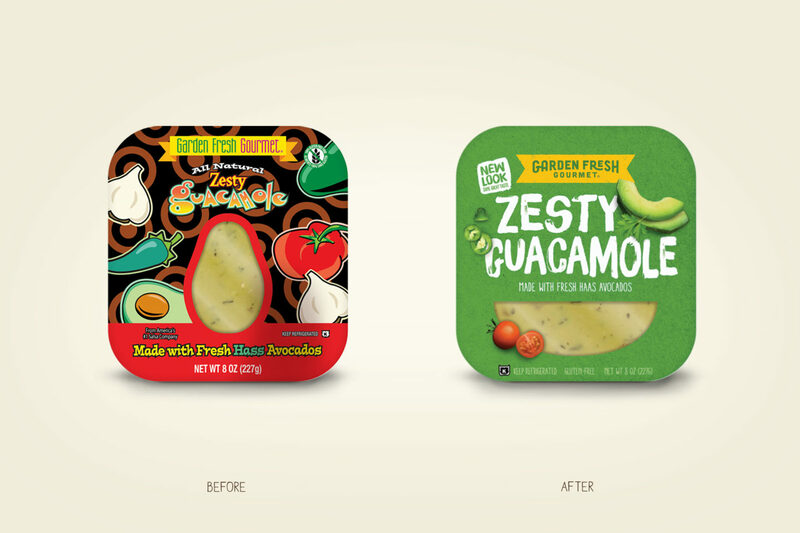 The package redesign started with Garden Fresh Gourmet’s salsa line—the #1 refrigerated salsa brand in the US. Their old look was dated, inconsistent, and hard to shop. 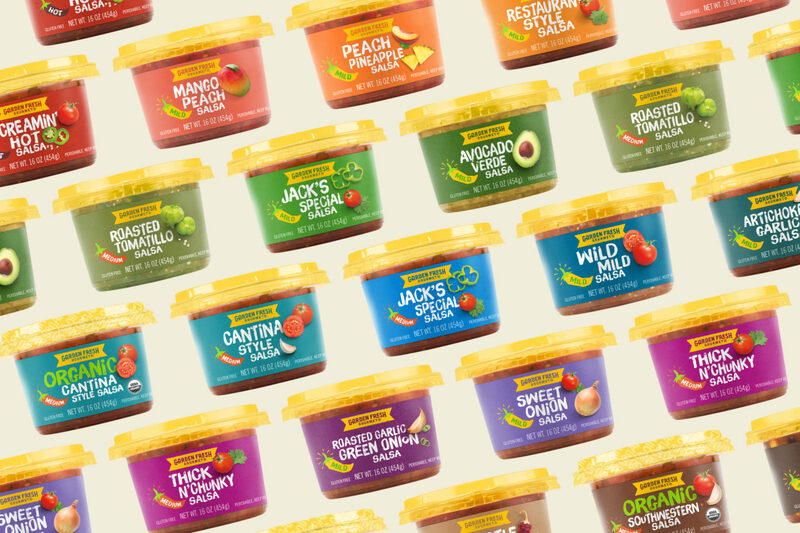 The new design retains and builds on the brand yellow with a new logo and eye-catching colored lids. 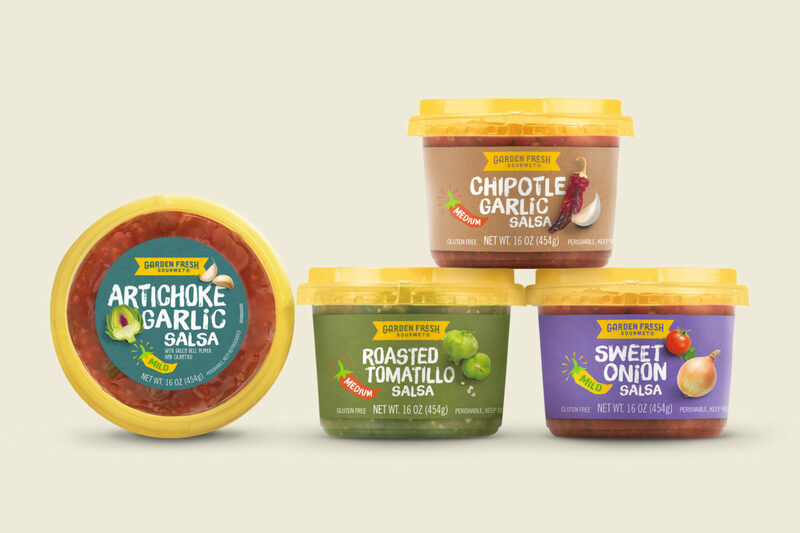 Strong colors and hand-drawn type are integrated with ingredient photography and natural textures, elevating appetite appeal and communicating, “crafted gourmet taste, made fresh”. 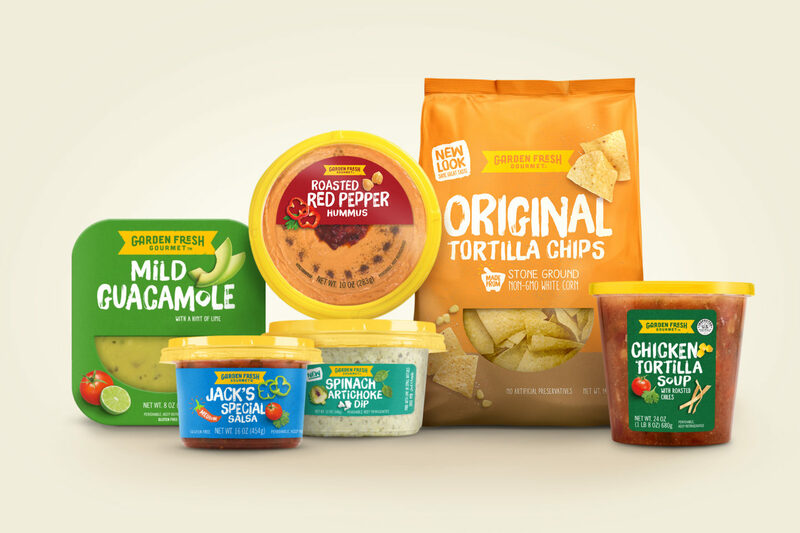 Chase expanded the new look across the full line of products in multiple categories—from salsas, to chips, hummus, dips, and soups—keeping a strong consistent look for the brand while leveraging key cues to support each product’s flavor and character.